Hanoi (VNA) – Seafood exporters and producers have asked relevant ministries to work with the Chinese side to remove bottlenecks in the export of aquatic produce to China – which has raised technical barriers to some aquatic products from Vietnam recently. The Vietnam Association of Seafood Exporters and Producers (VASEP) said aquatic shipments to China, a key agro-forestry-fishery export market of Vietnam, have encountered some problems. For example, China requires factories which want to ship their processed aquatic products into the country to have export code numbers, and exporters must be approved by China. Meanwhile, according to the regulations of Vietnam’s National Agro-Forestry-Fisheries Quality Assurance Department (NAFIQAD), producers only need to be recognised as eligible to export to China in order to trade. Some products such as salmon also haven’t been allowed to enter China. NAFIQAD has sent many documents to the Chinese side, but no official responses have been made. Amid Chinese importers’ surge in purchasing Vietnamese seafood, China’s authorised agencies have also been requiring health certificates issued by Vietnam’s competent bodies for aquatic products from Vietnam. As a result, many Chinese businesses have stopped or reduced their purchases. VASEP have asked the Ministry of Agriculture and Rural Development, and the Ministry of Industry and Trade to work with China’s authorised agencies to clarify the country’s requirement for export codes and increase the number of Vietnam’s aquatic products allowed to enter China. The association has also called on the Government and the two ministries to address technical barriers and troublesome administrative procedures. Vietnam’s aquatic shipments to China reached 384.3 million USD in the first half of 2016, a year-on-year rise of 42.8 percent. 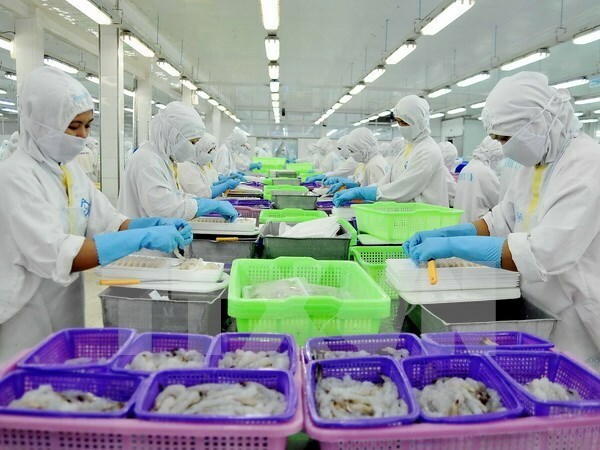 The figure included 217.43 million USD worth of shrimp and 117.03 million USD worth of tra fish, up 41.8 percent and 66.7 percent from a year earlier, respectively.